One elementary school in Chicago is taking the concept of healthy school lunches to the next level. The principal has banned students from bringing their own lunches. The school believes that this policy will help curb the childhood obesity epidemic, and even if they are right there is the issue of individual rights. Many of the parents feel this is big government run wild. I have to side with the parents on this one. Even as a real food advocate and passionate nutrition educator, this just doesn't seem like the way. Education and inspiration will do far more to help parents make healthier choices in the long run. 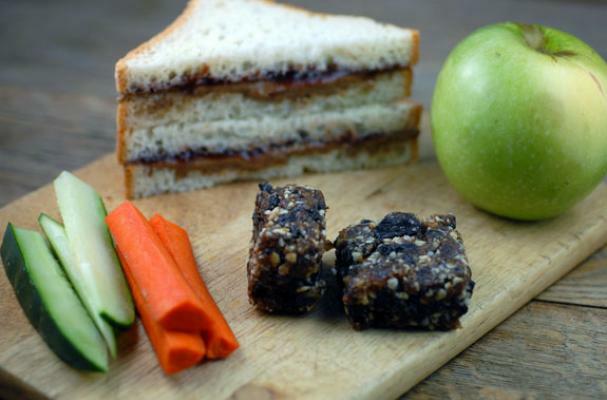 This is an interesting idea many kids bring some truly horrendous lunches to school. Let's just hope that the school takes food allergies seriously. this sounds good in the reading...but my questions are...who is paying for the lunches? some children's parents these days can't afford the school meals even tho they don't qualify for assistance. and is the nutritious meal program going to be along-side a fitness program. when ppl my age were young we exercised at p.e. now they sit on oversized skateboards and scoot around. no sit-ups or jumping jacks or running laps. i beleive that is really a big reason for the obesity problem. What happened to individual rights and freedom? Every day I read about something like this that just amazes me. As a teacher, I've seen the so called "healthy lunches" our schools are required to serve and it's frightening. Did anyone watch Jamie Oliver's attempt to change school lunches? He was told that his pasta sauce which was filled with vegetables, didn't provide enough vegetables, but the school lunch of a hamburger and fries did because they were counting the french fries as a vegetable! I fall on the side of health most of the time, but this does seem like an over-reach. who is to say that some parents aren't making their kids better foods than the shcool? Also, it may cause some people to get rebellious. It just seems wrong as far as rights go. I want parents to stop feeding their kids garbage too, but you have to educate them and let them make the choice. Lead the horse to water not force them to drink. I want to see their "healthy" lunch menu! No, really, do you have a link to that, or do you know the name of the school? If they are serving the same crap all that's on the lunch menus I have seen (our school tells us it's healthy too), I would be furious. If they are really serving what I would consider to be a healthy lunch, I wouldn't be totally against it, but I'm sure there are some irate parents! Found the school, looked at their site, and it looks like someone's back tracking...here's a link to the principals note-if anyone would like to see it. great to see all your thoughts!